I recently drove down I-395 with the friend I’ve known the longest, Rebecca Owings. We stopped in Lone Pine for the night. Rebecca and I were both in diapers when our respective families lived steps from the UC Davis campus. I have no idea how her late father would have reacted to Lone Pine. Yet I suspect his close friend—my late father—would have loved the western sensibility of the place, not to mention the Western movie lore that still adds to its mystique. Don’t get me wrong. My father went to Cal, and some, years later, became a passionate organic gardener focused on simple living and sustainability practices. Yet because he grew up in his own small western town, he could move through rural worlds as well as progressive ones—and he taught me to do the same. Indeed, in his youth, he was an avid reader of Westerns. I suspect he also took in a movie or two focused on gunslingers. My father’s hometown, Grass Valley, is situated north of Lone Pine in the Sierra Nevada foothills (on the west side of the range). It was a gold mining town—one my family visited regularly when I was a girl. Because of this, I often dreamed of effectively dipping a gold pan into some mountain stream. Back then I particularly enjoyed the nearby Malakoff Diggins State Historic Park, the site of a ghost town known as North Bloomfield, which once supported a large hydraulic mining operation. 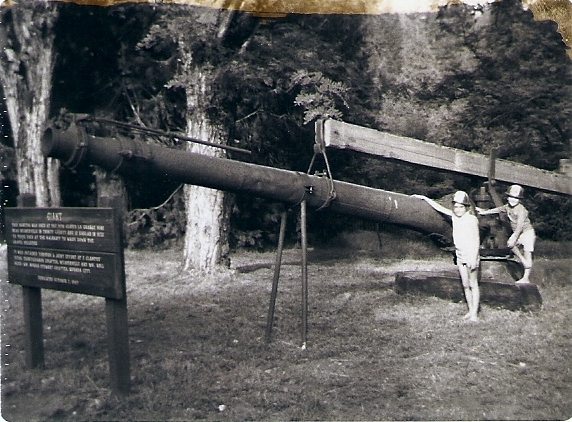 The park displays a number of huge hydraulic nozzles that used to shoot water at nearby hillsides in order to root out the gold. My brother and I were known to romp around these antiques, even as we learned about how hydraulic mining had once flooded out some of the folks settled in the Sacramento Valley. As we were living down there in those days, this scenario made a huge impression on my young mind. We later learned that our great-grandfather, Charles Waite, had actually worked as a hydraulic miner. So we grew up hearing about one family member who was proud of his developing knowledge of environmental issues and another who had been proud of his mining profession. The reason I believe my father would have truly enjoyed Lone Pine is because, somehow, the movers and shakers in its urban planning department have found a way to allow a vintage feel to persist there—without succumbing to too much modern cheese. Actually, the town has a 40’s and 50’s cheesy feel, and that’s what makes it wonderful. 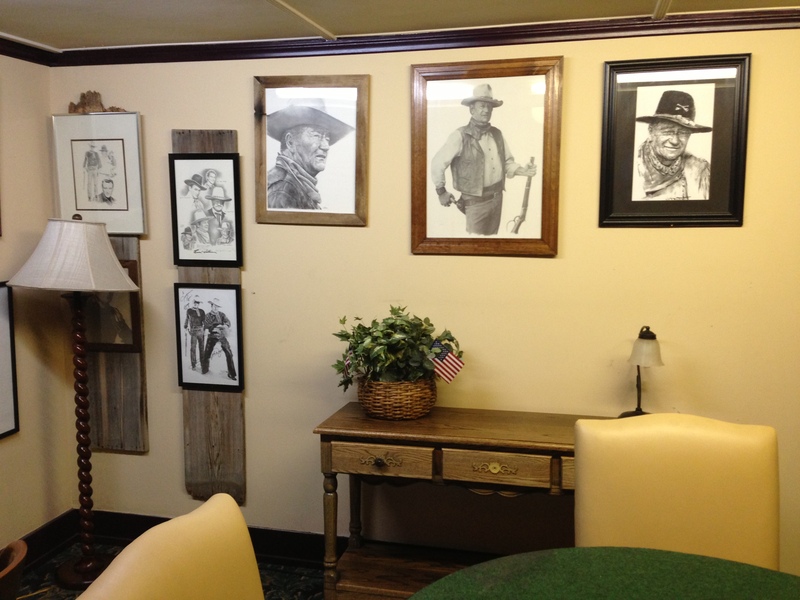 Indeed, Rebecca and I plan to return to the Dow Villa Motel, which was once one of John Wayne’s favorite haunts. Have no fear. He is adequately celebrated in the lobby. It is fun to think about John Wayne strolling around Lone Pine. Yet many disparate aspects of the West seem to converge in the Owens Valley, where the town is located. Working ranches are still in operation there. 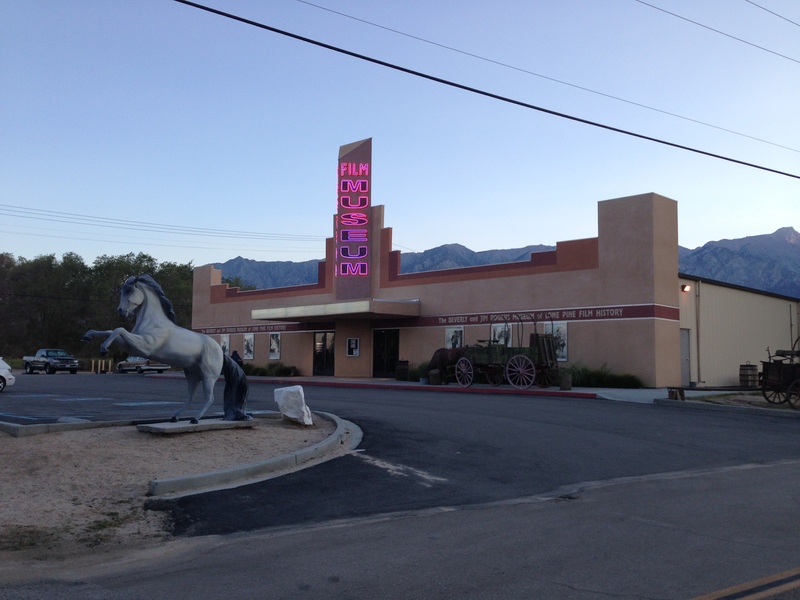 And the presence of the Big Pine Paiute Tribe can be felt in a number of businesses. 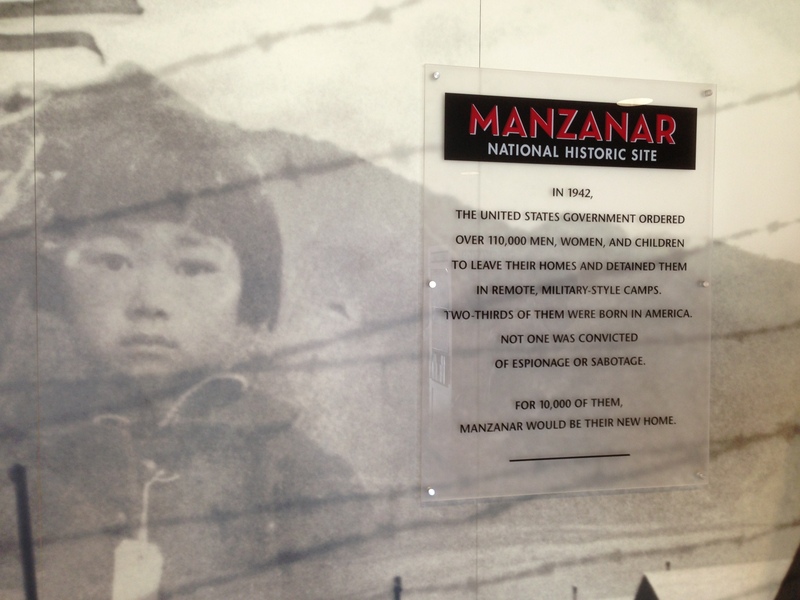 The Manzanar National Historic Site, situated north of Lone Pine, bears witness to the Japanese American internment, which occurred during World War II. 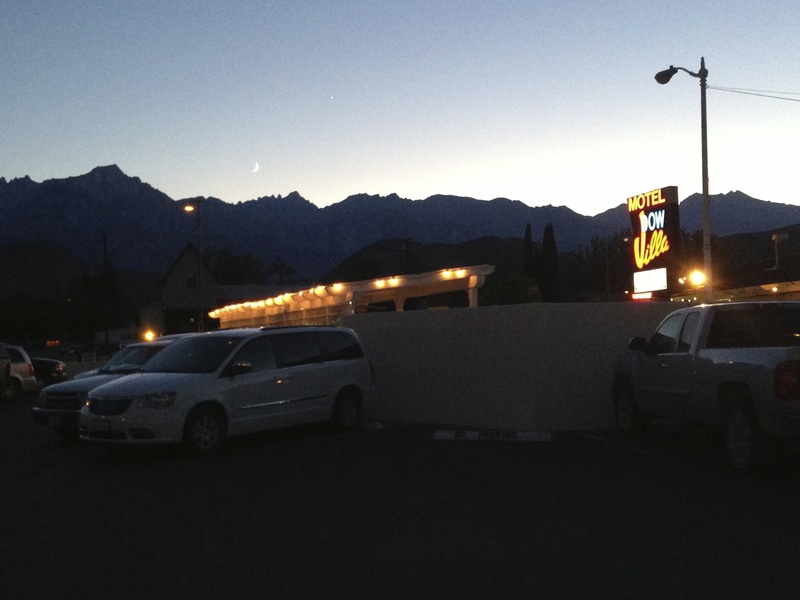 Finally, Lone Pine serves as the doorway to the Whitney Portal. Climbers from around the world regularly drive into town and turn onto the Whitney Portal Road in order to wind their way up to the trailhead—at 8365 feet—leading to the summit of the highest peak in the contiguous United States (14,505 feet). Maybe I like to meditate on the West, with a capital “W,” because I once took college class at the University of Oregon on Western American Literature. It actually stimulated some of my brain cells. For I was thrilled to discover we even had our own literature—novels, plays, and poems focused on some of the areas I knew so well. I quickly learned how a place—how a landscape—could inspire writers to come up with unique ways of defining the mind. There was something about that “Big Sky”—the mountains, the forests, the deserts, the lakes and rivers—that took writers into new dimensions. These places were stark or rugged or windy—or they were glinting with sunlight. Of course, western writers depicted crowded places, too, but such scenes somehow stood in contrast to all of those open spaces out there. Other musings came into play, such as a focus on self-sufficiency, physicality, obstacles that needed surmounting, and independence. While I’d surely enjoyed plenty of works about England before encountering this course, I found myself connecting with these ideas – outlined by Dr. Glen Love – in ways that seemed foreign to me. 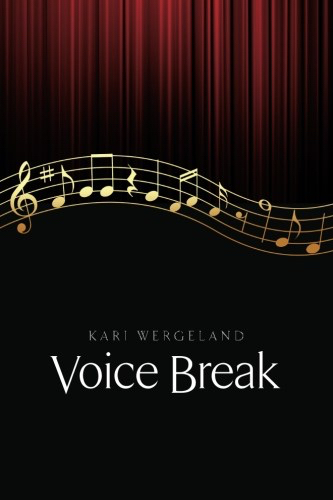 The Western certainly figured into this literature. If I recall correctly, we read Shane by Jack Shaefer. Yet Dr. Love also steered us toward writers who had defined the West in their own ways, people like Robinson Jeffers, Raymond Chandler, Willa Cather, and A. B. Guthrie Jr. I later discovered a number of writers I would have included on the syllabus, such as Octavia Butler, Maxine Hong Kingston, Ken Kesey, and Sherman Alexie, among others. By then, I was no longer officially studying anything, but I occasionally thought about how my own life was unfolding on a western edge. I guess I could say my travels along I-395 have seriously cracked the topography of my childhood. I grew up in a valley with the Sierras on one side and the Coastal Range on the other; for many years, I couldn’t imagine another world. To be sure, the length of my life has played out along a strip that lies west of the Sierras and the Cascades. While I did spend a summer in Eastern Oregon when I was teenager—and I drove over the Cascades more than once during my time in Washington State—I never ventured to the other side of the Sierras until a few years ago. Seeing the dramatic lift of this mountain range, as it appears from an eastern vantage point, rocked something inside of me. Because the Sierras I knew grew gently. We always drove through rolling hills before finding ourselves on steeper inclines. Yet I found the Eastern Sierras to be some serious mountains—the very same ones—much more intimidating. I’m not sure if I have more to say about this side of the Sierras just yet. These vistas have been filed away for future contemplation. My poem, “Cremation,” has been published on Pyrokinection. 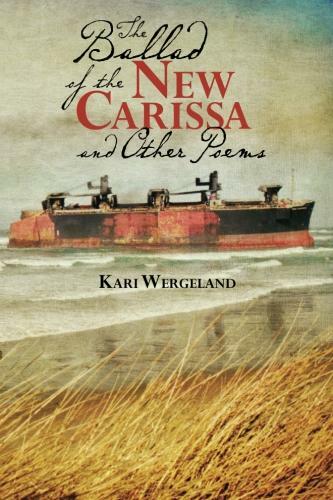 My poems, “Remnants” and “Sandpipers,”have been published in the Bird issue of Cyclamens and Swords.